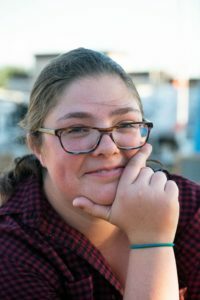 Hi everyone, this is Hannah Larson with another blog post for you! We love warts here at Mudd. No, not those warts you find on the bottoms of your feet after walking barefoot outside (although there are definitely people at Mudd who walk around outside without wearing shoes). No, we love those concrete square prisms that are placed systematically throughout all of our buildings. Left: An Outer Dorm (Linde Dorm) has warts on the edge of the roof. 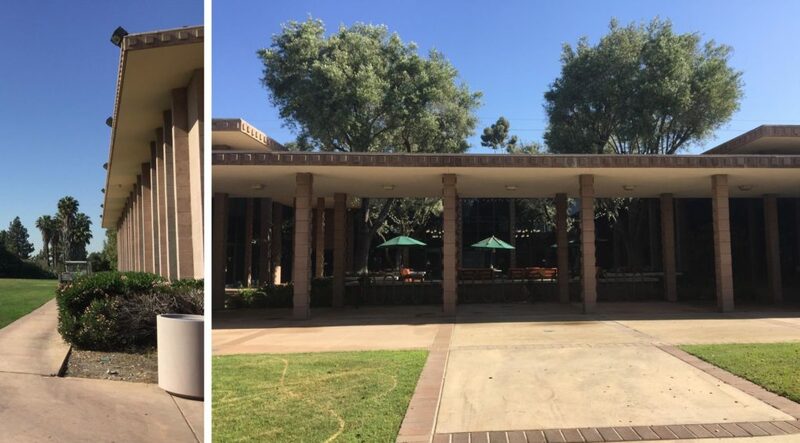 Right: The overhang, support pillars, and roof edge of the Platt Campus Center are all covered in warts. In fact, we love these warts so much that they became our unofficial mascot. 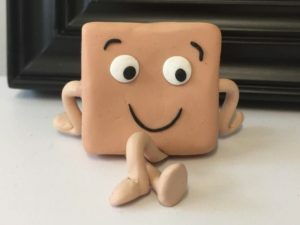 In addition to our official mascots, the CMS (Claremont-Mudd-Scripps) Athenas and Stags, Harvey Mudd has Wally the Wart, our friendly anthropomorphic square prism mascot who can be seen in various line drawings, waving Harvey Mudd flags or unicycling around. One prospective student for the class of 2021 even crafted a clay version of Wally for the admissions office! These warts are inspiration for lots of our interesting architectural spots on campus. 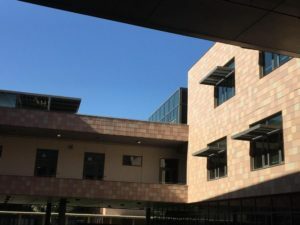 The story goes that when the Shanahan Center was designed, the architects took color samples of the warts around campus and used those to create the multi-colored tiles that cover the building. The Shanahan also has a pathway on the northern side that is lined with old warts from Thomas Garrett, the building that used to be where the Shan is now. This pathway is a cool way to preserve the school’s history and reuse building materials, but many people walking by aren’t aware of the warty implications. Left: The pathway behind the Shanahan, leading towards the Founding Class Room and Admissions Office. 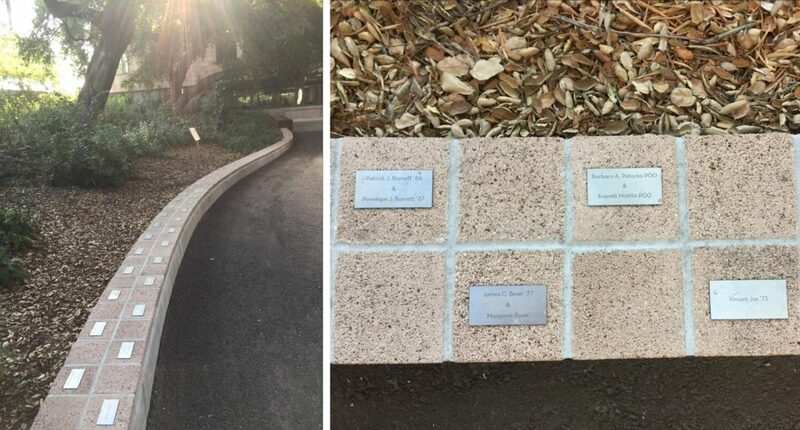 Right: A close-up of some of the old warts, which also have plaques on them dedicated to different donors. Our newest dorm on campus, Drinkward Dorm, also has a neat wart-themed architectural design! There are warts arranged on the sides of the building which, rumor has it, spell out a phrase in braille.  Looking at one panel of Drinkward and using a newly downloaded Braille app, I determined that the warts and indented squares on the building spell out “MUDD WART”, an homage to our love for warts on campus. 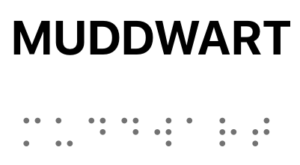 If you go in blocks of 2×3 rectangles, starting by looking at the raised warts and then inverted warts, you can see that the raised warts spell MUDD and inverted warts spell WART in braille.